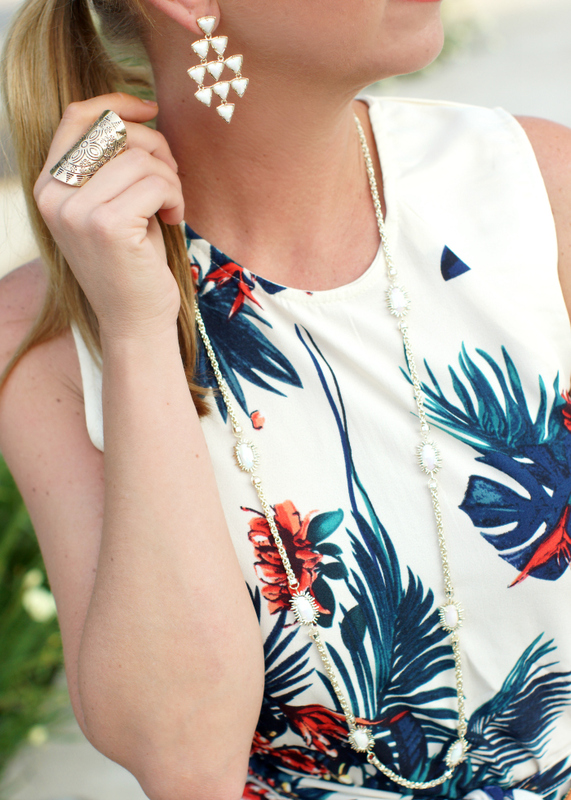 Summer is just a few weeks away and I just can't get enough of tropical inspired prints. 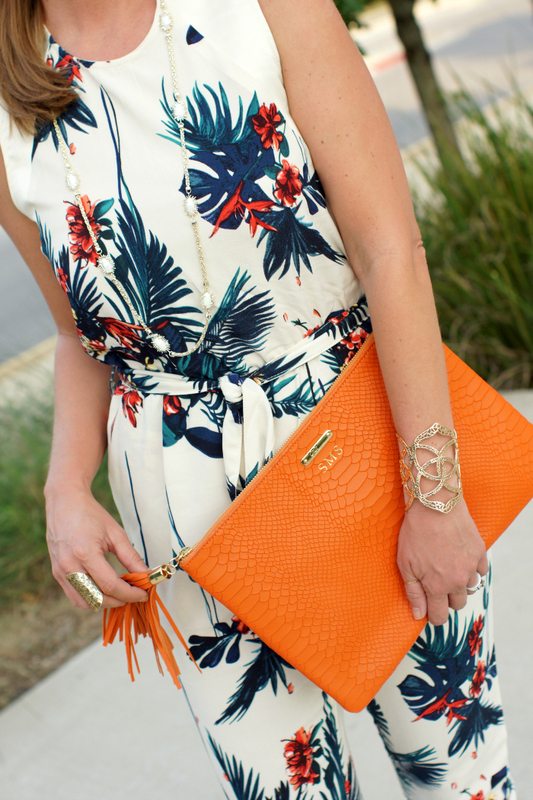 Palm leaves and sunset hues, yes please! 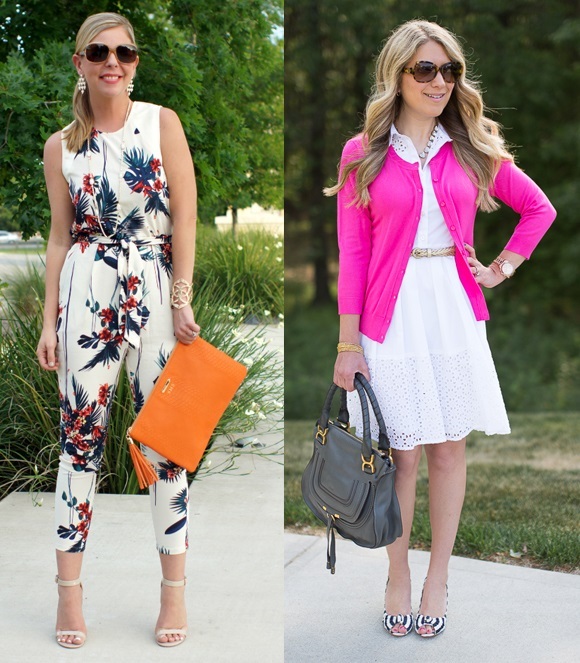 I also am loving lightweight and temperature appropriate jumpsuits. 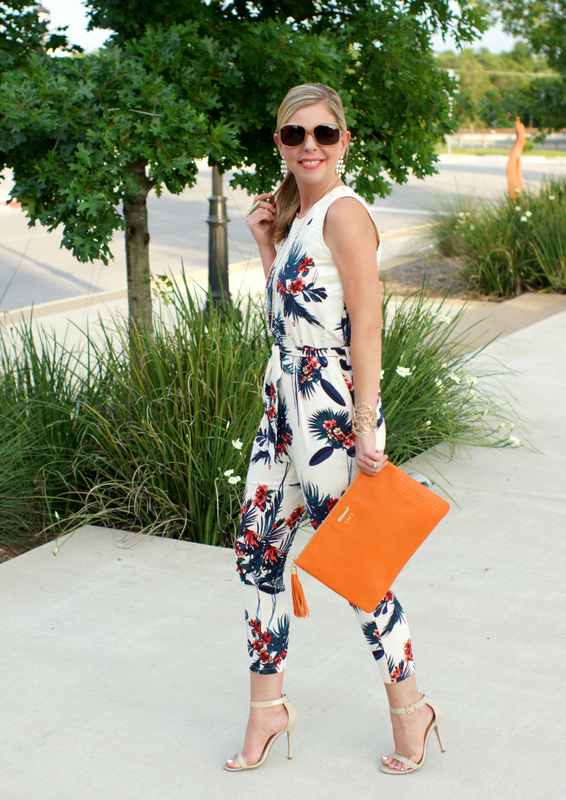 Typically I steer clear of pants during this time of year because of our Texas heat, but I made an exception for this palm print, sleeveless jumpsuit from Sheinside. The fabric is light enough for warm days/evenings, the print screams summer and it's sooooo different from anything I have seen. 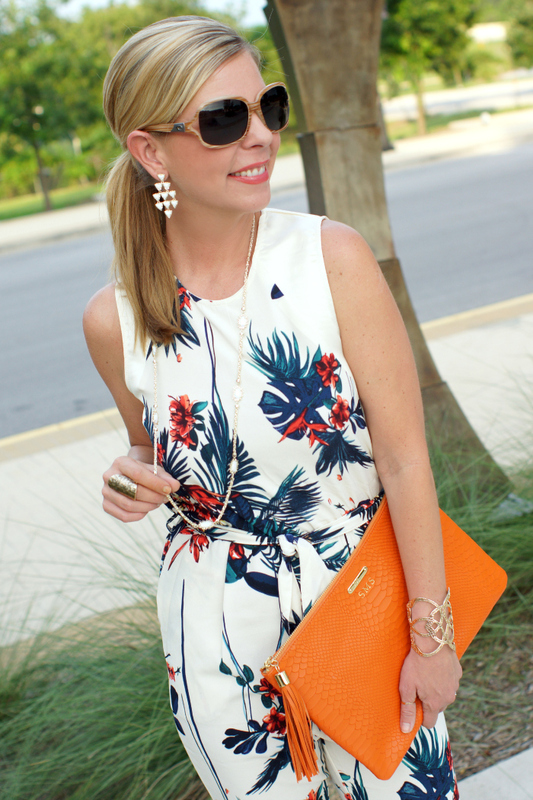 If you are planning a tropical getaway this summer, this one needs to be purchased and packed. Even if you don't have a beach vacay on the schedule, it will definitely make a statement for patio dinners or a special summer event. I will say it runs a little a small. I ordered a medium and am 5'7 (typically a size 6). The ankle portion is a little tight, but stretches. Hope that helps if you plan to grab one for yourself. P.S. Ross and the girls gave me this Kendra Scott necklace and these earrings for Mother's Day/birthday. They were soooooo excited to see me wear them. Because let's be honest, I ALWAYS love what they give me (it's the thought that counts), but sometimes Daddy and Kids don't always hit the nail on the head with gifts. They absolutely struck gold with these two pieces. I am in LOVE!! 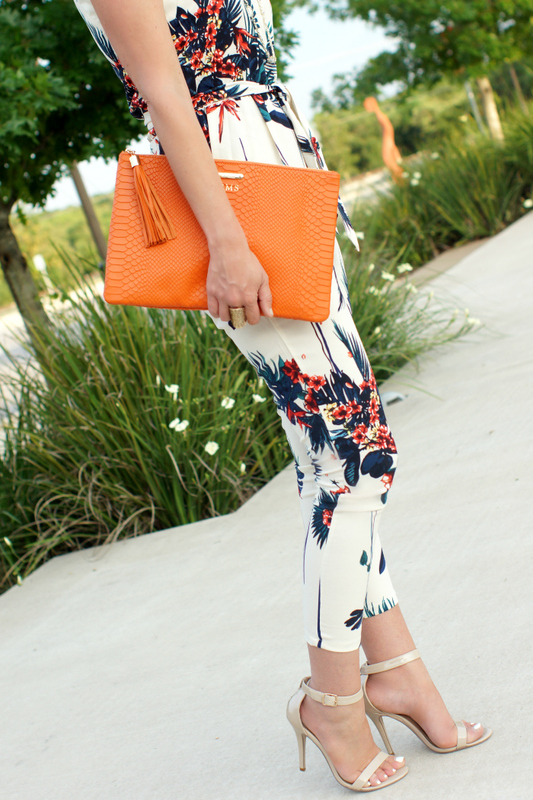 Follow Mix & Match Fashion via bloglovin’ and Because Shanna Said So via bloglovin'. Use the button below to link back to this linkup on your blog post, or use your own link if you would like.